Posted by Equestrian Australia on 28/04/2016. 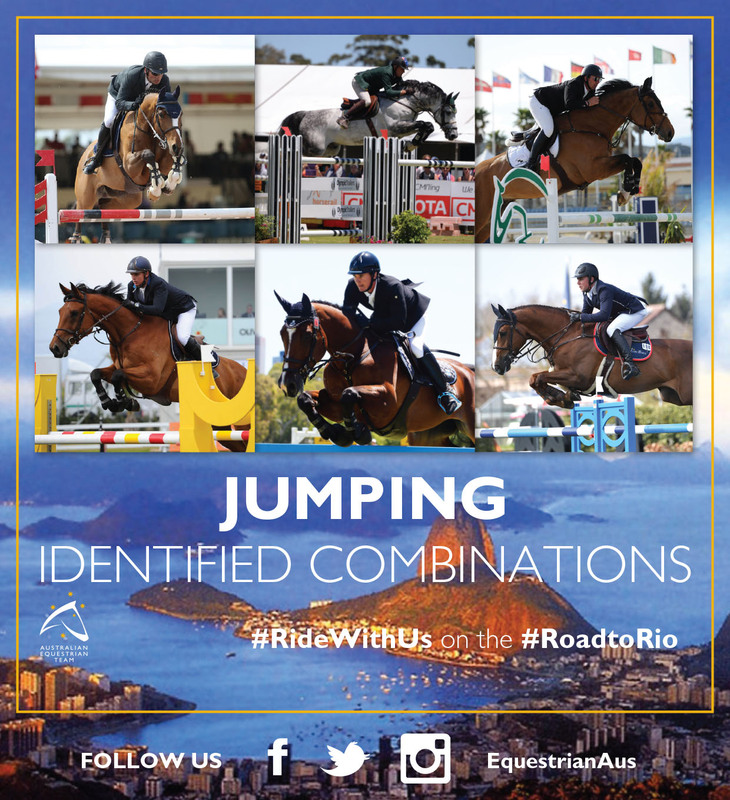 Equestrian Australia’s (EA) Jumping Selection Panel (JSP) is pleased to announce the identified combinations that will be considered for selection to the Australian Jumping Team for the Rio 2016 Olympic Games. It follows today’s announcement by the Australian Olympic Committee (AOC) that Team Captain, Edwina Tops-Alexander and Olympian, Scott Keach have earned early selection to the Australian Olympic Team for Rio. Read the AOC Announcement. The identified combinations have been nominated in accordance with Equestrian Australia’s Jumping Nomination Criteria and were available to contest the upcoming Nations Cup events. Merrick Ubank and Alantinus come into team to replace Phillip Lever and Comme Il Faut who are not available for this event. The team will be supported by Chef d’Equipe Stevie Macken.